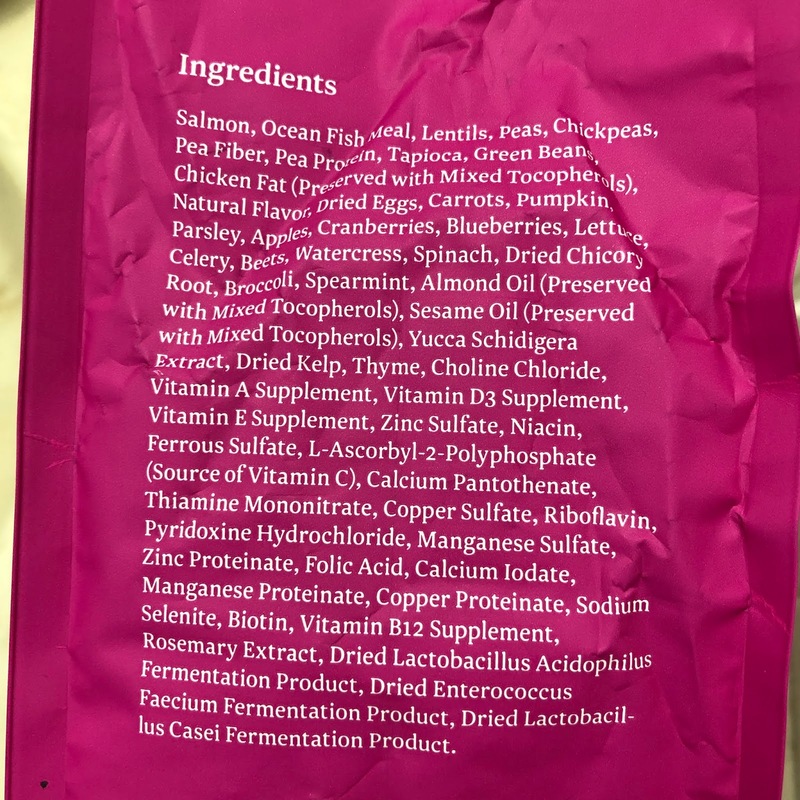 For our trial we received one 4 pound bag of dry dog food. I love the colored packaging, it looks so fun! 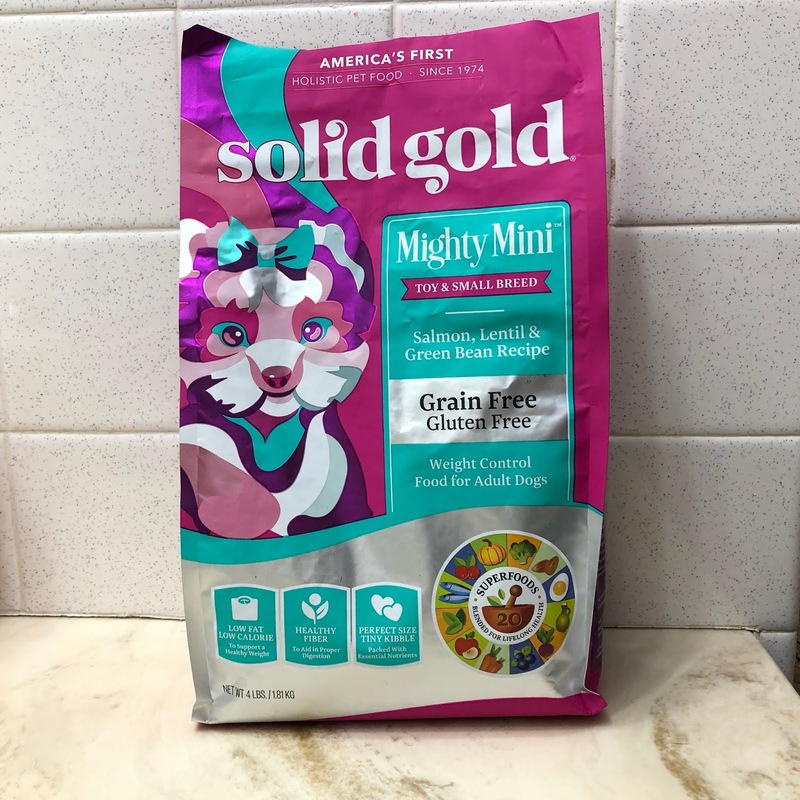 Solid Gold offers a large variety of both dog and cat food on Chewy.com - there are wet and dry food options, as well as options for grain free and other special diets. We chose a Grain Free option due to Venus' allergies, that is also a weight control recipe since she is a bit chunky. 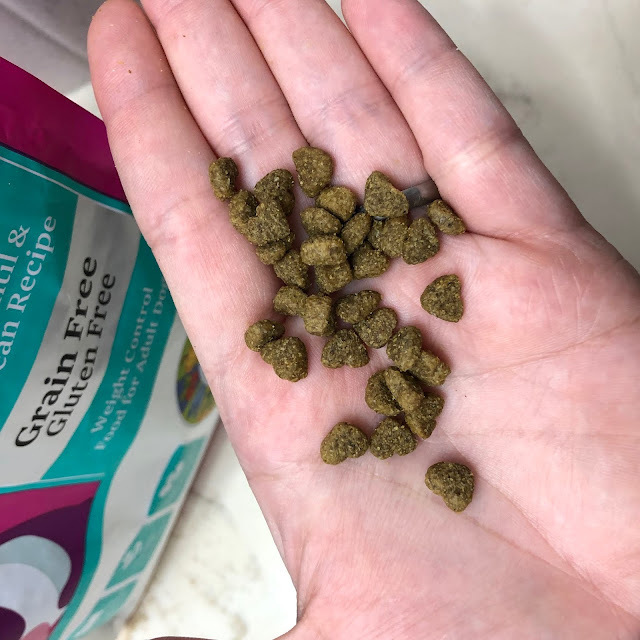 Venus is missing a few teeth in her older age (she unfortunately loves to chew more than she should) but she had absolutely no issue at all chewing these bits of kibble! She weighs about 20 pounds, and these bits are definitely made for tiny mouths ~ even smaller than hers. Overall she seems to really enjoy this dry food. She has no trouble chewing it, doesn't leave it laying around her bowl (a sign that she's not a fan of the taste), and doesn't whine when there's food in her bowl. I'm very pleased!